It’s gonna be a sweaty year. LA Sweat has announced its roster for 2016. Returning to LA Sweat are four riders, and the team picks up three new riders for 2016. Also new for 2016 is Sara Yancovitz, formerly of Stan's NoTubes/Veloclassic. 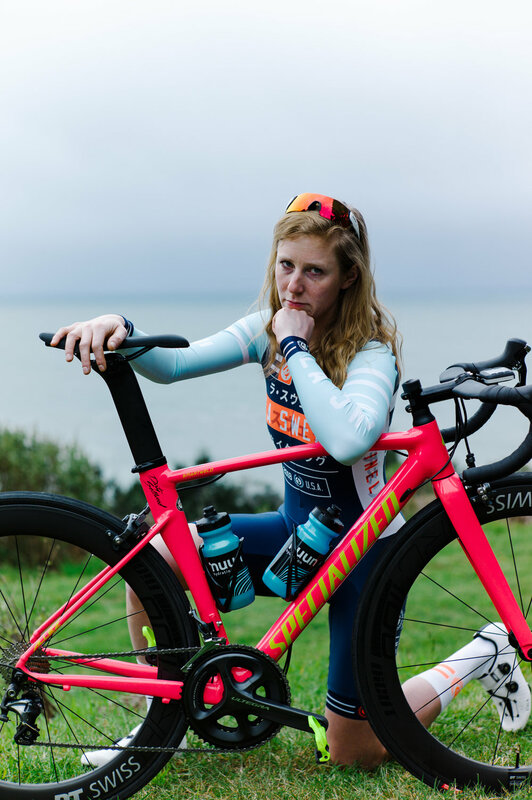 As she makes her move from the New York City coast to the West Coast for med school, Yancovitz also will make her official return to the peloton with LA Sweat after missing the latter half of last season due to an injury. A consistent top-10 finisher at USA Crits Speedweek, and a proven powerhouse, Sara will bring serious fire to the squad in 2016. 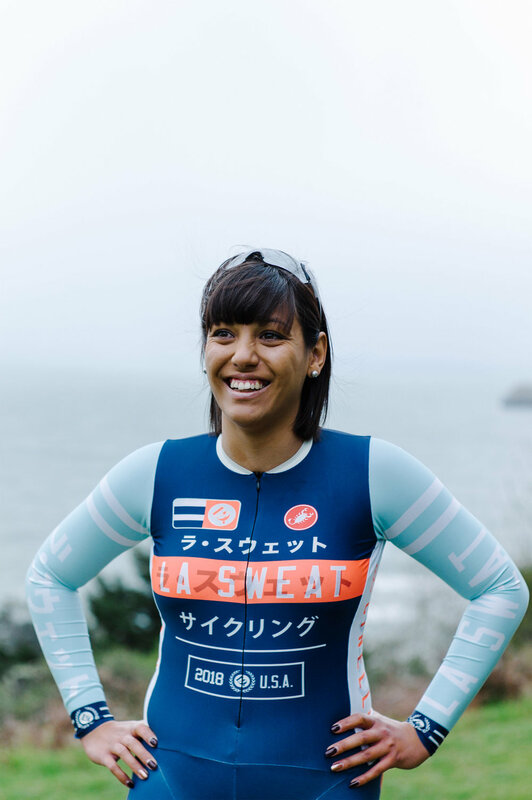 Returning to LA Sweat is Caitlin LaRoche, who guest rode with the team at the Redlands Bicycle Classic and Gateway Cup in 2015 Caitlin Laroche is tremendously excited to be a full fledged team member in 2016. Altitude born-and-bred powerhouse originally from Vail, Colorado, Christa Ghent also joins LA Sweat for 2016. Currently based out of Boulder, Colorado, Ghent grew up ski racing and has claimed multiple Junior Olympic championships before trading in her skis for the bike. This former University of Colorado-Cycling captain, is not a stranger to the podium. Ghent has won national championship medals on both the road and the track. In 2015 she landed on the steps at every local crit. Chris Birch, joined LA Sweat late in 2015 and now returns feisty than ever in 2016. Birch is a multi-faceted rider with national championships in road, track, and cyclocross disciplines. Having completed her Ph.D. last season, she strives for new heights in 2016. She's looks forward to racing with the fiercely fast, close-knit, wildly expressive women of LA Sweat who will only further encourage expansion of her never-ending collection of crazy tights. LA Sweat will also have back their powerhouse younger rider Amalie Winther-Olsen of Denmark. Amalie has been spending her off-season, not off at all, as she has been tackling the track and the European Six Days. 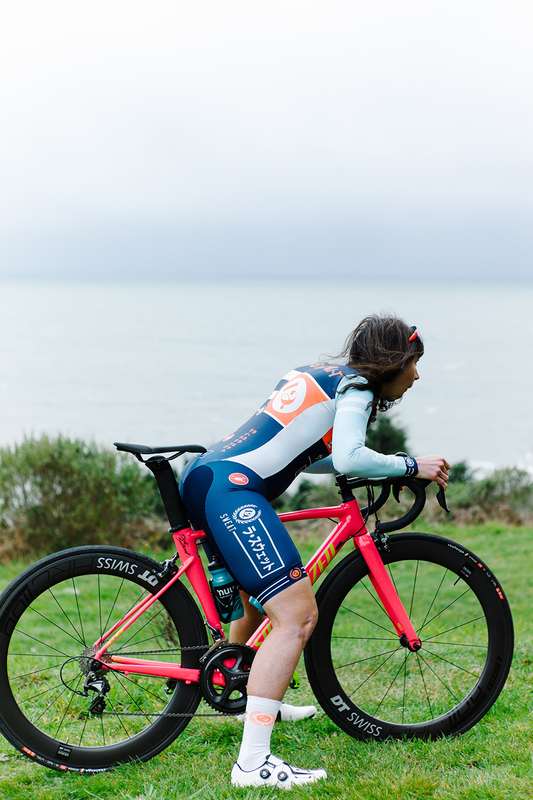 When she’s not racing in Europe for her the Dutch/Australian Team Maaslandster Nicheliving CCN International Cyclingteam, she’ll be testing her legs at the US Criteriums with LA Sweat this summer. And naturally, Kelli Samuelson, the mastermind behind LA Sweat, returns for another season. 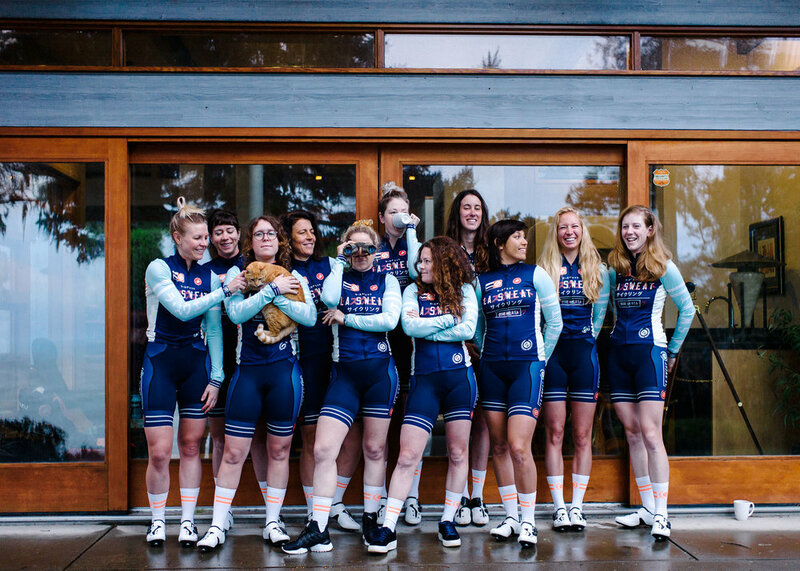 Kelli launched LA Sweat last year, but had to depart from the peloton and play the role of manager after hip surgery. She looks forward to getting back on top of her game this year. "After a successful first season it was a no brainer to continue with LA Sweat. Providing talented and deserving riders with the racing opportunities they want and work for is something that will drive this team to even more success in 2016."